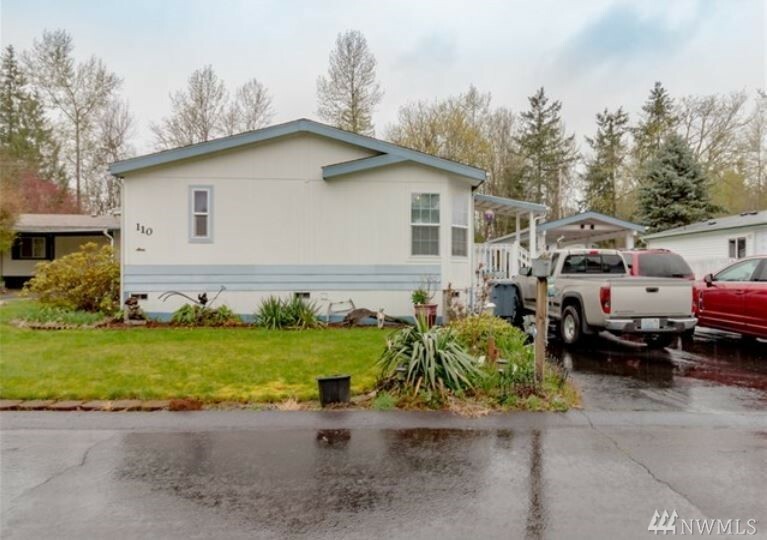 Clean & spacious Lake Tapps home - 2 bedrooms w/ vaulted ceilings! Feels big & bright w/ lots of windows & skylight. Kitchen opens to dining room & nook. Over-sized, Open Concept floor plan has Generous Master w/ private bath. Guest room w/ full bath on other end of home. Sip morning coffee or BBQ on the big covered porch! Carport, don't carry groceries in the rain! Storage shed. Shared garden space. Nice, quiet park. No age restriction. Derringer Schools. Summer Activities galore! WELCOME HOME!